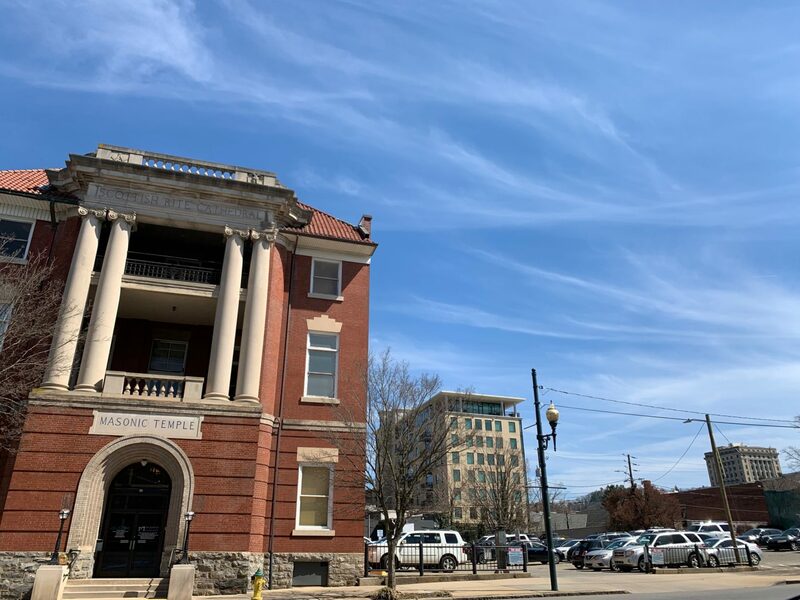 A large mixed-use development proposed for Broadway Street in downtown Asheville calls for 24 condos, 150 hotel rooms, retail and office space, as well as a focus on local artists and their work. Greensboro developer Birju Patel, of BPR Properties, is teaming up with Asheville architect Peter Alberice of MHAworks Architecture and Asheville civil engineer Chris Day of Civil Design Projects for a project dubbed Create 82 Broadway. The development is planned for the parking lot space adjacent to the Asheville Masonic Temple, and will front on both Broadway and North Market Street. It encompasses a total of about 1 acre of property and includes 2,351 square feet of commercial office space, 1,250 square feet of retail art space and a “lifestyle rooftop terrace,” according to a written press release. The design of the project is about understanding the cultural heartbeat of the city, Patel said in a Tuesday interview in the offices of MHAworks, and that translates into embracing the city’s artists. Six of the residential spaces will be live-work units reserved for “creatives” with a rent at about $500 a month, according to Patel. The project will include an art gallery, and art pieces will be incorporated into the interior and exterior of the project, he said. “The whole fabric and design of this project is really art-focused,” Patel said. The project team also sees the development fitting into what’s become to be known as the Broadway Arts District, anchored by the nonprofit Center for Craft right across Broadway Street. The nationally recognized center is dedicated to advancing the understanding of craft by encouraging and supporting research, critical dialogue, and professional development, according to its mission statement. It will also include a pedestrian walkway to allow people to more easily pass between Broadway and Market. The boutique hotel brand that’s planned is Moxy by Marriott. The Moxy brand squarely targets Millennials with marketing mix of fun and luxury amenities. The development includes 110 parking spaces in three parking deck structures enclosed by the building envelope, with the entrance on the Market Street side of the project. That design is aimed at taking traffic off of Broadway, according to Day. Patel said he’s a first-generation American who grew up in the hospitality industry after his father and two uncles emigrated to the United States from India in the 1970s and created their company. Patel, a N.C. State graduate (and the son of an engineer), said he and his family have been visiting Asheville and Western North Carolina for years, enjoying hiking, kayaking and Asheville’s growing cultural amenities. He said he also grew up with an appreciation for the arts: his sister is a painter and he’s a musician and music producer. The project is still in its earliest stages, with a neighborhood meeting planned at the Masonic Temple in April. 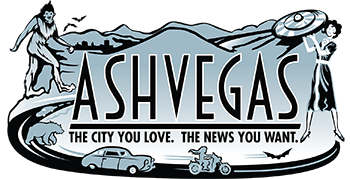 From there, the project will go through the bureaucratic hoops for approval and end up at Asheville City Council. There are no architectural renderings yet, said Alberice. The team is still working out details, and wants to hear feedback from the neighborhood, he added. This parking lot has long been a boil on Asheville’s main street. Trying to do big-A Affordable housing here would a waste because of land costs; if you want to do that downtown, do it somewhere that’s not *quite* in the middle of everything – like by replacing the garbage truck depot along South Charlotte. That would get much more bang for the buck. I do see that hotels are taking over downtown and I’d rather see something else here. Apartments, for example. Offices, condos or even luxury apartments would be better for the city, IMO. That said, I don’t think I would vote to block this. I am against council’s stated intention to block most or all hotel construction outright. Rather than summarily stopping all hotel proposals in their tracks, I’d rather see more efforts to allow and encourage construction of other stuff. (They could start by not pulling the brakes on things like the Fuddruckers Apartments, for example.) I want central Asheville to continue growing – and hotels should definitely be a part of that! But growth needs to be balanced, not so heavy on hotels. This would mean more housing (across all price points from Affordable to luxury) as well as office and retail, to balance things out. Once you read past all the marketing/arts/culture BS, you are looking at another 150 room hotel for downtown.